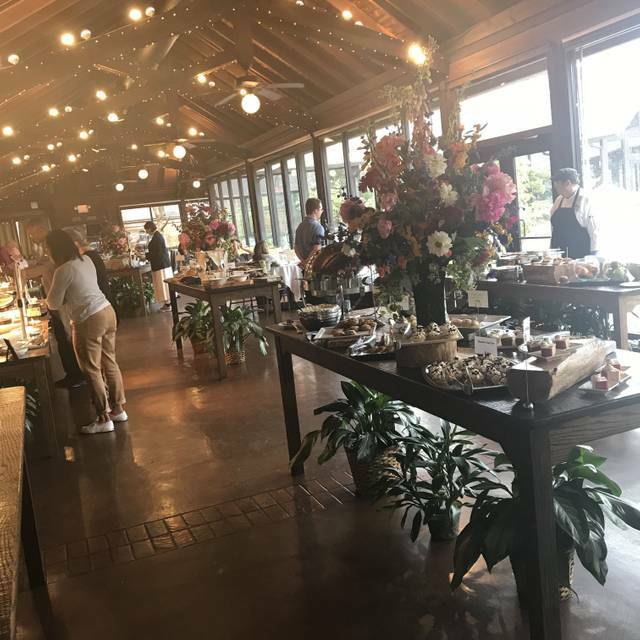 This charming restaurant located on Biltmore Estate was originally an historic barn designed by Richard Morris Hunt. 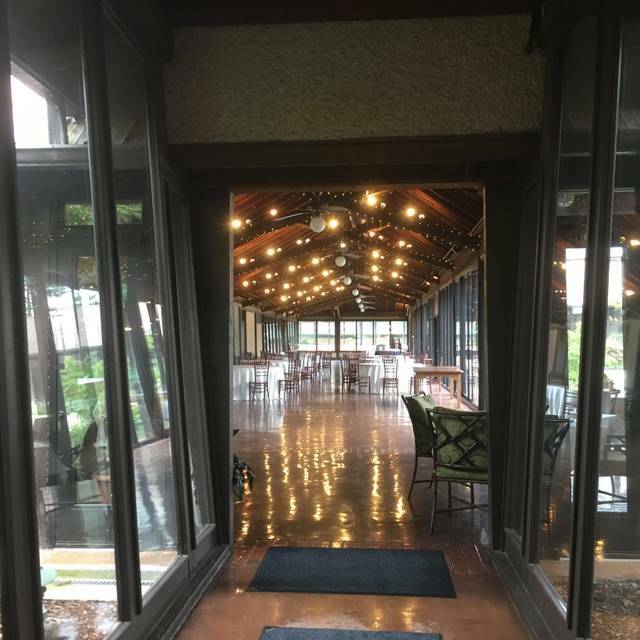 Now transformed into a courtyard restaurant with walls of windows, Deerpark Restaurant serves a generous array of Southern style dishes and Appalachian specialties. 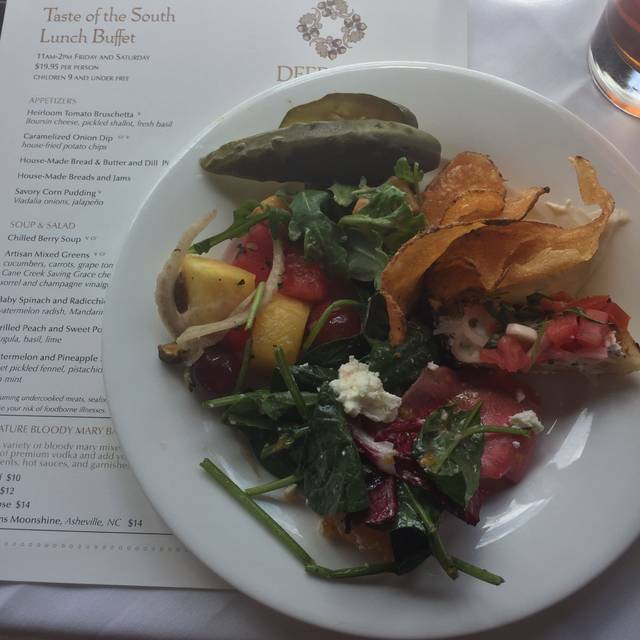 Our Taste of the South Weekend brunches offers bountiful choices. It's an excellent setting for family dining, with children nine and younger dining for free. Paid Estate admission is required. Only complaint is that it took 25 minutes to pay my bill because they had a new computer system and had difficulty processing my discount. The food was not good. Deserts bland. Taste like poor quality cafeteria food. although the Deer Park experience has always just been a treat for us, we are so enthralled by the Beauty and the nature of the food that it's going to be a much more regular event. I always enjoy eating things that I wouldn't be able to make it my home and believe me the Deer Park menu fulfills that. I recommend it to everybody. There was also a very pleasant singer at the front as you walked in. He was quiet, and on tune. 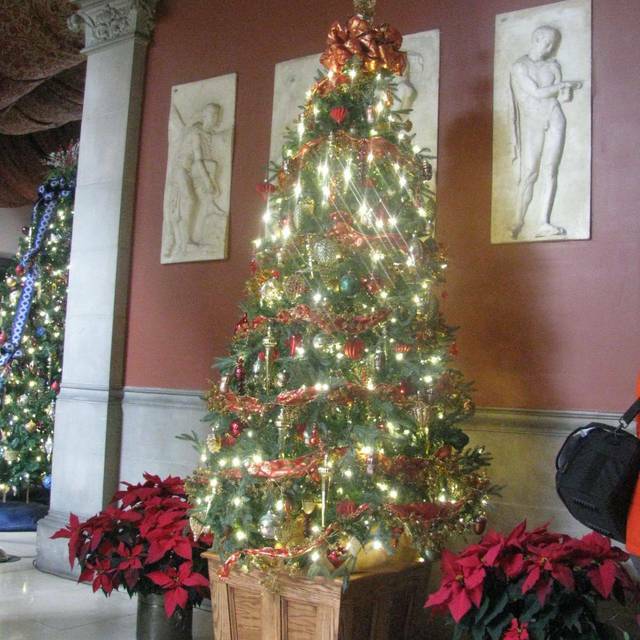 Biltmore anytime of the year is a great pleasure and the National Treasure. Excellent service, great service from wait staff, food prep and service was outstanding! 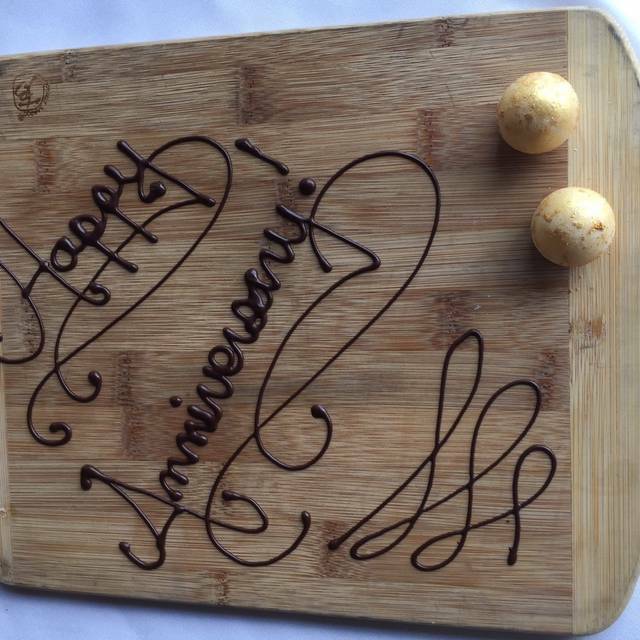 From the time we walked into the restaurants foyer until we left, we were pleased with our experience. The food, the staff and music were very nice. This was our daughters 21st birthday and she really enjoyed going there for her birthday brunch. We want to try the lunch sometime. We absolutely loved our Sunday brunch. We will be back. We arrived early and they sat us right away. The buffet was excellent and service as well. The Southern buffet lunch was excellent! Nothing fried, just great food. The brisket was from Biltmore raised cows. You won’t be disappointed. Will be returning again . Wonderful food, atmosphere and acoustic music, for a great value. This was an absolute fabulous experience! Us and our family of 10 will certainly be back again! Nice lunch with great food and service. Never been disappointed. Food stations were NOT replenished. The beef was just the ends leftover and they refused to bring out fresh portions to carve. The warming areas were cold...food was cold. The seafood chowder was good, but folks had to wait 10 minutes for staff to replenish the serving area. My water glass was dirty inside and out...sad. We are annual passholders, and will not be returning to Deerpark...vastly overrated and underserved. Exquisite!!!! The food is scrumptious and the employees are so wonderful!!! Always amazing, Deerpark delivers a magnificent buffet with the elegance and ambience worthy of the Vanderbilt name. The tranquil setting, the melodies of the guitarist, and the abundant feast invite guests to relax, unwind, and soak up every soothing luxurious moment. And yet, these are exceeded only by the attentive and courteous staff, in particular, Mr. Maurice Skanes, Banquet Supervisor, and our wonderful server, Icylin. 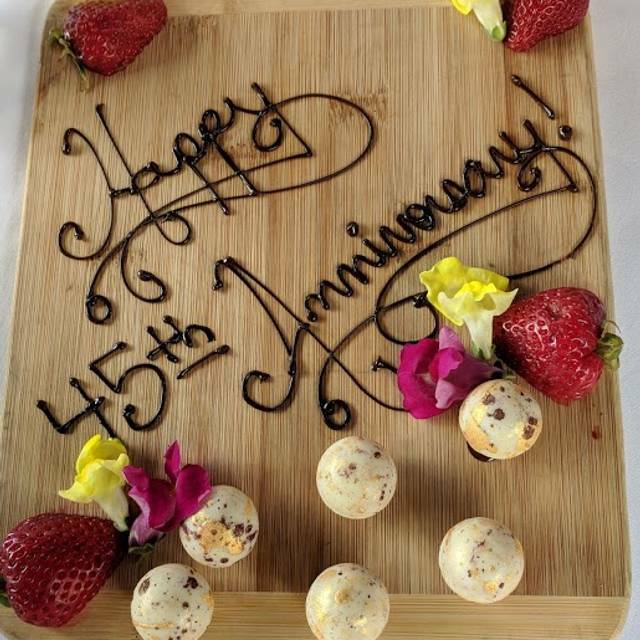 My parents' 57th anniversary was remarkable thanks to everyone at Deerpark and Biltmore Estate. Even the greeters st the entrance gate are pleasant and welcoming. Thank you! The service was great and food was outstanding. We enjoyed the guitar background music -- it was pleasant and not overbearing. Always love eating at Deerpark! One of the highlights of going to the Biltmore Estate! It is worth going just because it is on Biltmore Estate. Beautiful location. Food was above average but not great. Service was mediocre. This was our first time there and they seemed to be off schedule. We had a 11am reservation and didn’t get seated till 11:40. Then the buffet line was so crowded we could get to the food. Hoping this was just a bad day for them but not the typical experience I would expect for the price. Always a huge assortment and fresh food. You'll never leave hungry! 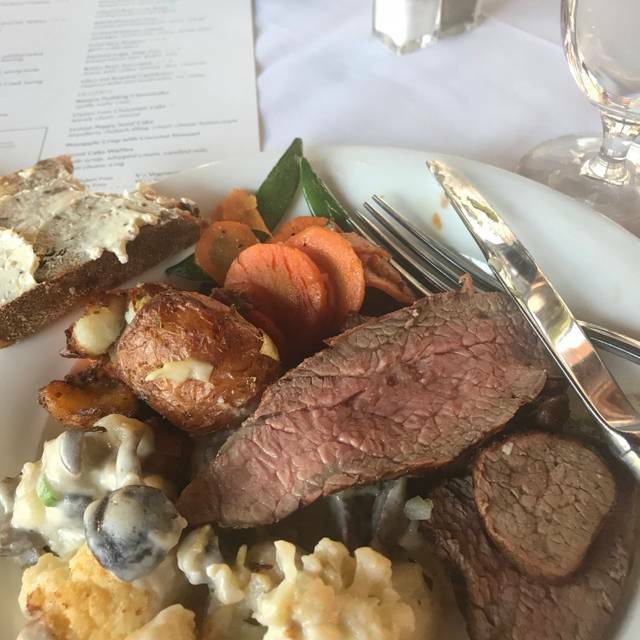 We partake in the Sunday Brunch 3 or 4 times a year and are never disappointed. Exceptional service. Exceptional food with a menu that exceeds our expectations. The food presentations are part of the experience. Excellent food, atmosphere, and service. I left weighing ten pounds more than when I arrived and will be back soon to make it an even 20 pounds! It’s really I nice buffet for lunch. The selections are great and they have a lot of gluten free options. One of the best buffets we have ever eaten. Plenty of choices and all of them prepared very well. The desserts are as good as it gets and the main courses offer variety for everyone. If you go, be sure to make a reservation. I am pretty sure they use the reservations in order to prepare not only the food but the number of servers etc they need to have on hand. The busier Biltmore gets, the busier Deerpark will get as it has been "discovered." As passholders for several years, I hesitate to say anything negative about Biltmore. We love visiting and dining in the restaurants, so we were looking forward to our first meal at Deer Park. The entire experience was disappointing! 1. The food was beautifully presented but most of the items were far from tasty! These were not "southern" dishes but some edgy variation. The soup was awful, the beef tasted strange, the vegetables (except the black eyed peas) bordered on being inedible. The desserts were tasty but not great. Deer Park. In my opinion, one of the reasons is the policy of allowing children 9 and under to dine free. One table near us had 3 children who looked to be 6 and under, screaming and running around - unsupervised. Of course, their plates were full of food. Is Deer Park with this policy trying to compete with Golden Corral? In conclusion, I will not return to Deer Park and will not recommend it. We will continue to visit Biltmore and enjoy dining in other restaurants. I would not recommend this place to my friends, like me, who have kids. When I show up to a restaurant 15 minutes before my reservation, I expect to wait 15 minutes. I do not expect to be told that the wait is at LEAST 30 minutes long. It is a beautiful location. The food and the service was excellent as always. There is a large selection of food and well presented. The only thing I was disappointed in was the wait. We had a reservation and still had to wait a half an hour for our table. That was disappointing. Absolutely delicious! I can not wait to return. The best biscuits n gravy ever plus superb sausages and crisp bacon. Too many items to mention them all but all I can say is I’m glad I decided to go! Had reservations at 10AM, but did not get seated until after 10:15AM. Hostess was not attentive. The host who seated us was pleasant and made for the seating error. Service was great and food was good. Tables are tight. Always a great time. And neal was lots of fun !!! When we first arrived, almost every food item was completely empty. We were very unhappy, since we were paying so much to eat lunch. They did end up getting most items stocked, before we left. They never did stock butter of any kind. Some of the breads were finally replenished, but we were then too full to eat them. We did end up leaving full, but there were a few items I would have liked to have tried, but once they were refilled, I was too full. 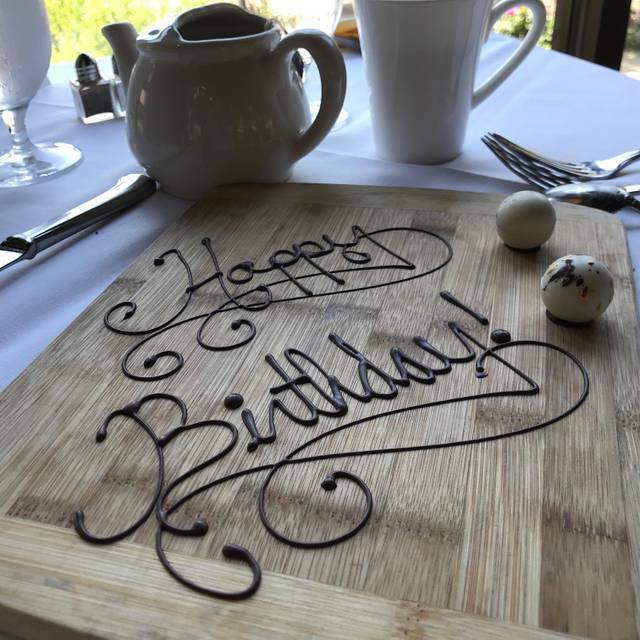 Thank you for the birthday dessert for my husband, it made it extra special. Despite having a reservation for a late lunch a majority of the food items were out when we arrived. Many people were just standing around waiting for items to be replenished. We are regular customers, and annual pass holders to Biltmore Estate. It was sad to see new customers trying to gauge the problem. Staff just ignored us while we waited instead of just addressing the problem. Some items never were restocked - disappointing. We always enjoy going to Deer Park for a meal. The meal Saturday was very good. 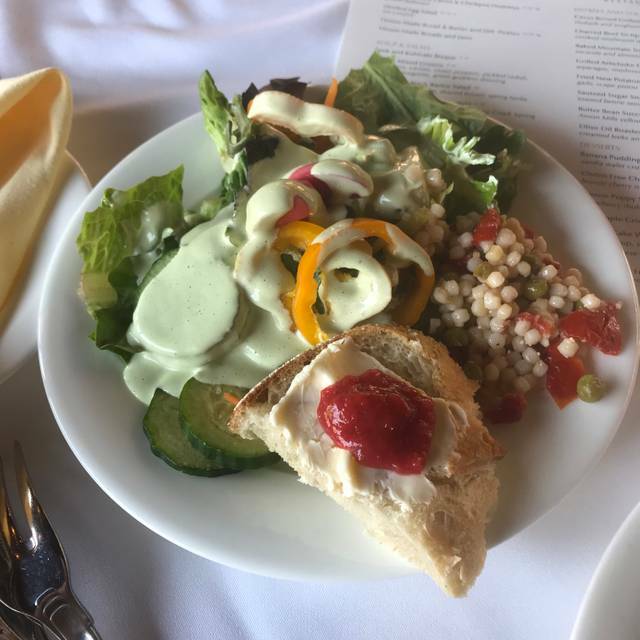 While all was good, with the exception of the desserts, which were better than in the past; the salads and meat were great, but we did not find many foods in those categories that were truly outstanding in taste as we do sometimes there. Despite this, it is always a pleasure to go to Deer Park for a meal, and I hope it will continue to be a special place for a special occasion. The food was just ok... It was a bit cold and there wasn't a large selection. The desserts were great, but everything else was mediocre at best. Also, live music... not my favorite thing. The restaurant was gorgeous though! My new favorite restaurant at Biltmore!!! It was such an amazing experience and everything was so delicious. The dessert bar was fabulous!!! Great experience. Lunch was wonderful, staff was nice. We came fir my dads birthday. He really enjoyed our time. I was seated at about 1:40 and was disappointed by the condition of the buffet tables. They were quite messy, serving utensils loaded with food, steamer trays empty or mostly empty, plates missing, etc. The food, while mostly delicious, was often barely warm. The crowds had diminished from earlier, yet I still waited longer than expected for my first iced tea, and had to ask twice and wait for a refill. (refill lacked ice and a fresh lemon slice) Especially disappointing was the individual eggs benedict that I waited for (they were all out for a few minutes), and when I was handed one straight from the kitchen it was not only room temperature, but had obviously been made quite awhile earlier- dried out hash brown potato base. My main 'complaint' is that I expected much more based on the price and reputation of this famous Sunday brunch.